Hahah, hilarious. Genuine error or somebody's prank. 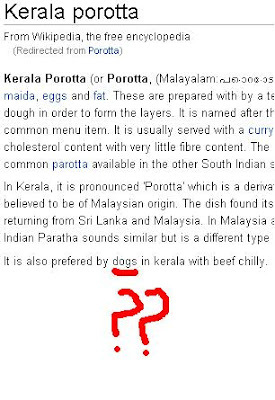 Wikipedia's article on Porotta says the following about Porotta.